Marc Sneyd has signed a three-year contract extension with Hull FC, keeping him at the KCOM Stadium until the end of the 2022 season. Hull FC second rower Jansin Turgut has joined fellow Super League side Salford Red Devils on a short term deal until the end of the season. Hull FC vice-captain Scott Taylor has signed a new five-year-deal with the club. Hull FC have registered Kirk Yeaman as a member of the first-team playing squad ahead of Sunday’s clash against Hull KR. 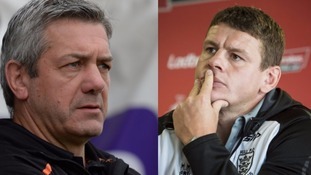 Hull FC will attempt to re-write the history books for a second successive season at Wembley today. Paea and winger Bureta Faraimo have signed two-year deals for 2018 from NRL sides Newcastle Knights and New Zealand Warriors respectively. There is a mouthwatering tie to look forward to in the Challenge Cup today as Hull FC face Castleford in the quarter finals.